Anti-nuclear protests in Japan Jump to media player Anti-nuclear protesters have held a large rally in Tokyo, calling for change in Japan's nuclear industry. 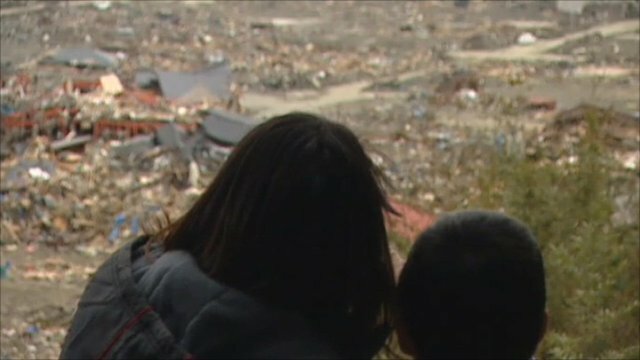 Tsunami victims vow never to return Jump to media player Two weeks after the earthquake and tsunami in Japan temporary homes are being built for survivors. 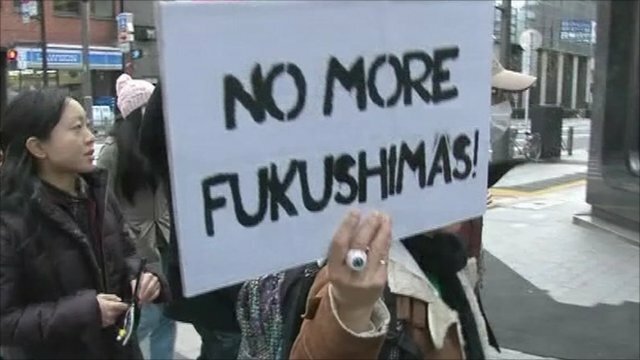 Anti-nuclear protesters have held a large rally in Tokyo, calling for change in Japan's nuclear industry. Meanwhile, efforts are continuing to locate the exact source of a radioactive water leak at the stricken Fukushima nuclear plant. Mark Worthington reports from Tokyo.